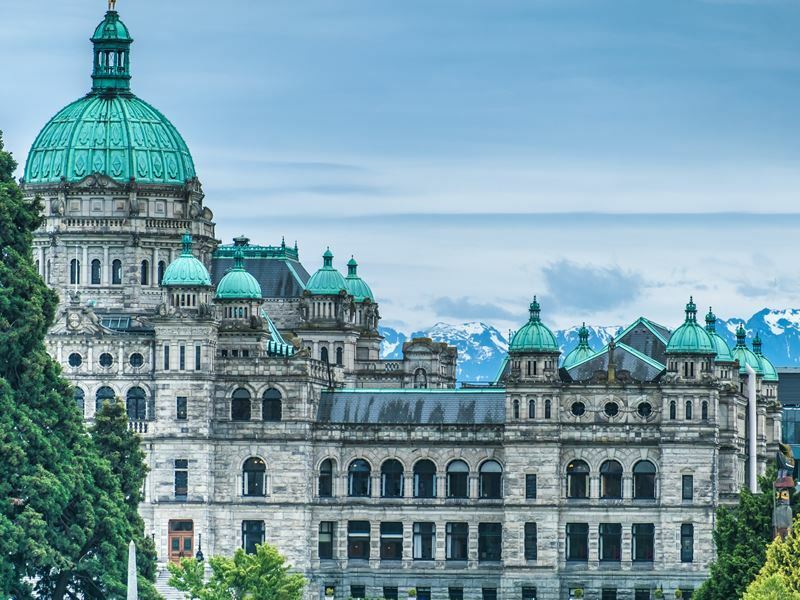 The capital of British Columbia sits on beautiful Vancouver Island, and is arguably one of the Canada’s most picturesque cities, with the surrounding area home to dramatic mountain and ocean vistas. 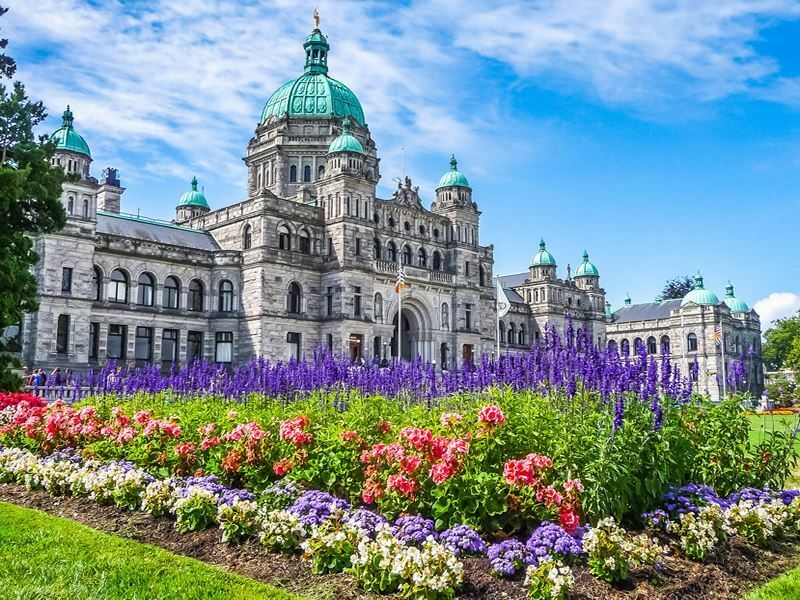 Victoria boasts colourful gardens, a lovely harbour, magnificent architecture and a rich British ancestry that can be glimpsed through its horse-drawn carriages, tearooms and double-decker buses. The city is also a renowned international hub of culture, art and food. With so much beauty, and such a wide range of experiences, it can be hard to know where to begin, but these top 10 things to do in Victoria will give you a great head start for an unforgettable holiday. What: Victoria is bursting with museums that offer the visitor a chance to get know the city and the region’s fascinating past as well as its modern delights. Whether you want to learn about aviation, find out about its maritime history, explore the centre of the universe or browse fine art, you’ll find it here. Highlights: The Royal BC Museum is often named as Canada’s very best museum and one of Victoria’s premier attractions. It’s focused on both the land and people of coastal British Columbia, and is the only natural and human history museum in the province. It boasts some seven million artefacts and three-quarters of a million specimens, and has hosted renowned international exhibits, including collections from the RMS Titanic, the Vikings, Genghis Khan and Leonardo da Vinci. Its Natural History gallery showcases the province’s rainforest and coastal ecosystems, from the ice age through today, while the Modern History gallery displays a genuine frontier town. The museum also has its own IMAX theatre that presents National Geographic films, and occasionally popular Hollywood titles as well. 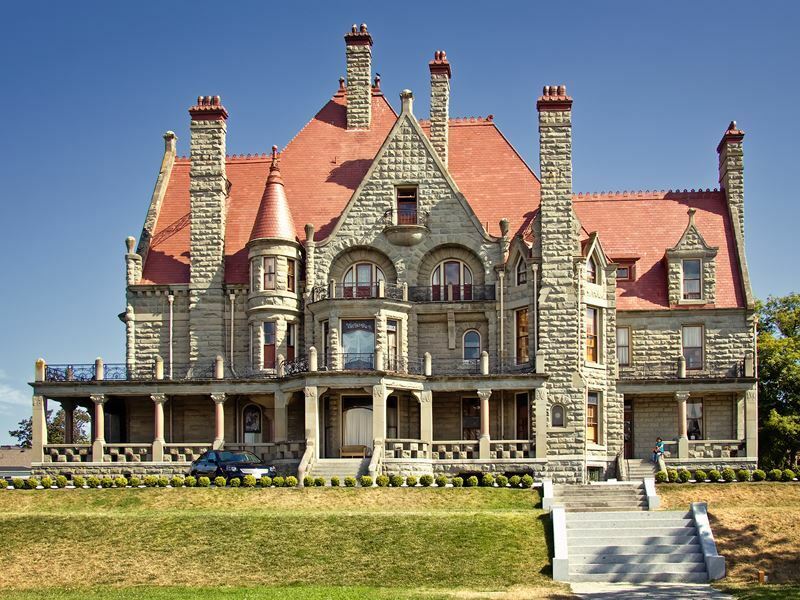 Those interested in the area’s nautical history should visit the hands-on Maritime Museum of British Columbia, while the Craigdarroch Castle, Emily Carr House and Helmcken House all provide an excellent look at daily life here in the 19th century. Miniature World, billed as “The Greatest Little Show on Earth,” features tiny exhibits that depict scenes from all corners of the globe, offering the chance to take a trip around the world without the time or expense. You’ll find everything from the Swiss Family Robinson tree house to European castles, outer space, the Great Canadian Railway and more. 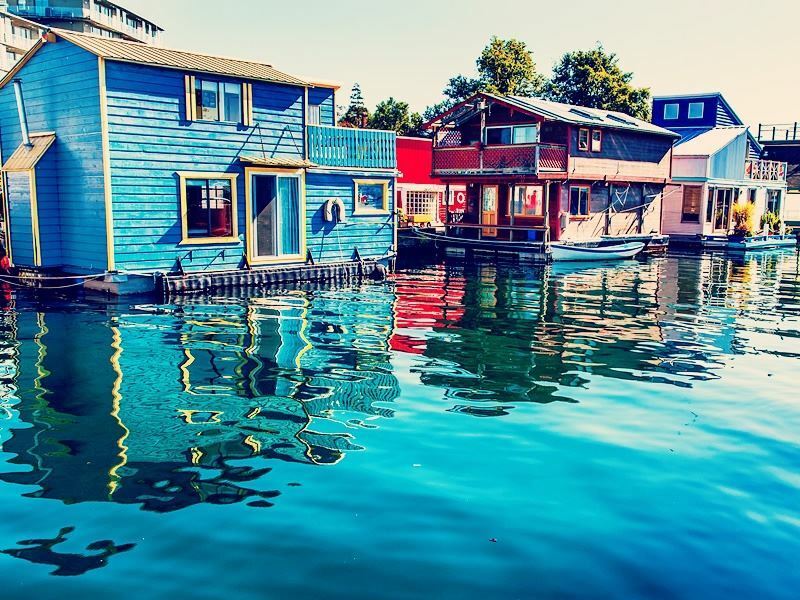 What: Picturesque Fisherman’s Wharf sits along the waterfront and offers the chance to take part in all sorts of activities, with many tours, including whale watching excursions that depart from here. You could easily spend an afternoon just gazing at the boats that come in and out of the harbour, watching for seals, and checking out the unique shops and food kiosks. Highlights: Some of the best fresh-off-the-boat seafood can be enjoyed here at the wharf, including at Barb’s Place, which floats in the Inner Harbour. This eatery is renowned for its mouth-watering fish ‘n’ chips, and you can enjoy dining on the open-air picnic tables while you watch the seals splash in the water and the sea planes taking off and landing. What: Victoria tends to attract lots of creative types with so much awe-inspiring natural beauty, and not surprisingly, it’s home to a wealth of art galleries, from avant-garde and modern to traditional and native works on display. Highlights: The Avenue Gallery is popular with the public and fine art collectors who come to discover some of the country’s top up-and-coming and established artists. Considered one of the premiere boutique galleries in the Pacific Northwest, it showcases exceptional collections by glass and jewellery artists, painters, ceramicists and sculptors in ever-changing exhibits. The Robert Bateman Centre Gallery is a unique art gallery on the waterfront that features renowned Canadian artist and naturalist Robert Bateman. 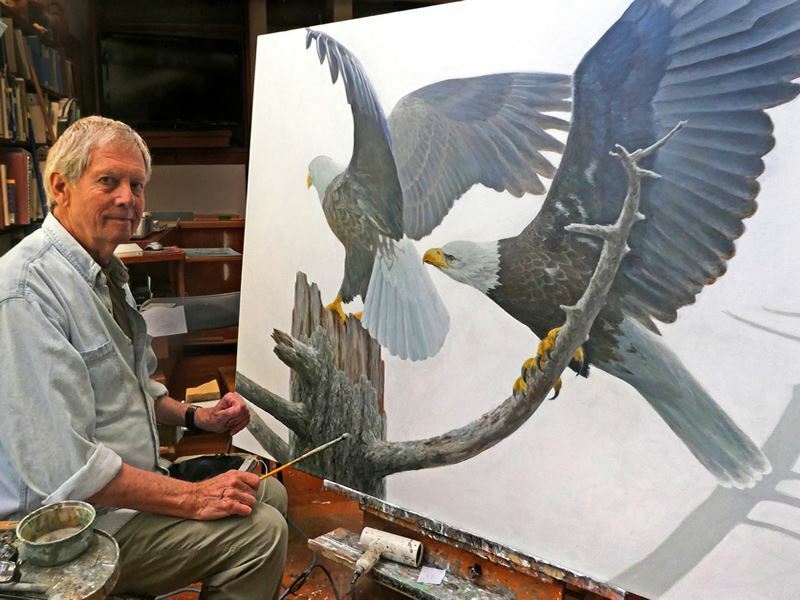 Bateman focuses on the region’s abundance of wildlife and nature of all sorts, with 100 of his original and rare paintings displayed right here. The Morris Gallery is the largest gallery in the city – its space could fill at least five downtown galleries, and it includes a wealth of works by local artists. What: This collection of grand Parliament Buildings located on the Inner Harbour are a sight to see, with their stained glass, domes and turrets. Home to the Legislative Assembly of British Columbia, this is where the province’s elected representatives meet to shape its future through debates and passing laws. Highlights: The Parliament Buildings are open to the public for free tours. Take the 45-minute guided tour to discover the history of the province and learn about the architectural delights of the beloved heritage building as well as the parliamentary process. You’ll get to peek behind the façade on this entertaining tour, and you can even enjoying dining at the “secret” politicians’ restaurant, the Parliamentary Dining Room, open Monday through Friday for breakfast and lunch. Be sure to view the buildings after dark too, when they’re lit up like a Christmas tree. What: The Scenic Marine Route can be hiked, biked or travelled by car. It features gorgeous beaches and parks, mammoth-sized trees and ancient forests, journeying from Vancouver Island’s east coast through the mountains of Lake Cowichan, along the west coast and then back to Victoria. In between the many sights are plenty of restaurants and interesting shops hosted in charming coastal communities to pop into as well. Highlight: This nearly 180-mile route can be accomplished in a day, even with the frequent stops you’ll want to make along the way. It features regular sets of steps that lead down to the sea along with multiple scenic viewpoints for those postcard-perfect shots. Travelling west, your first stop should be just outside the town of Sooke to visit Sooke Potholes Provincial Park set along the Sooke River. It’s known for its unique rock formation, formed during the last ice age millions of years ago. Next is Port Renfrew, surrounded by dense forests and famous for its saltwater fishing. 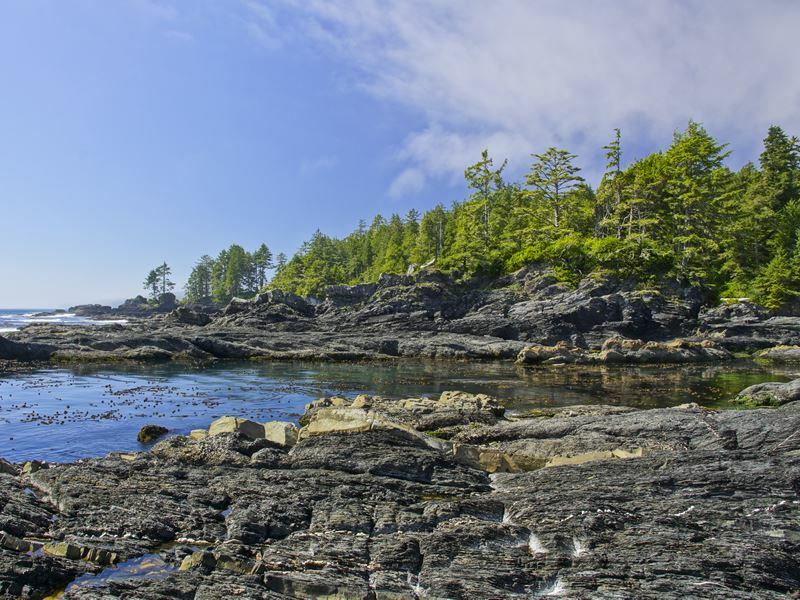 This area is also known for its extended hiking trails, including the Juan de Fuca Marine Trail that follows the coast of Vancouver Island and offers breathtaking views of the island-strewn waters as well as the chance to spot all sorts of marine life, including whales, bald eagles and sea lions. At the BC Forest Discovery Centre in Duncan, you can wander the forest and marsh trails of this open-air museum for some outstanding bird watching. 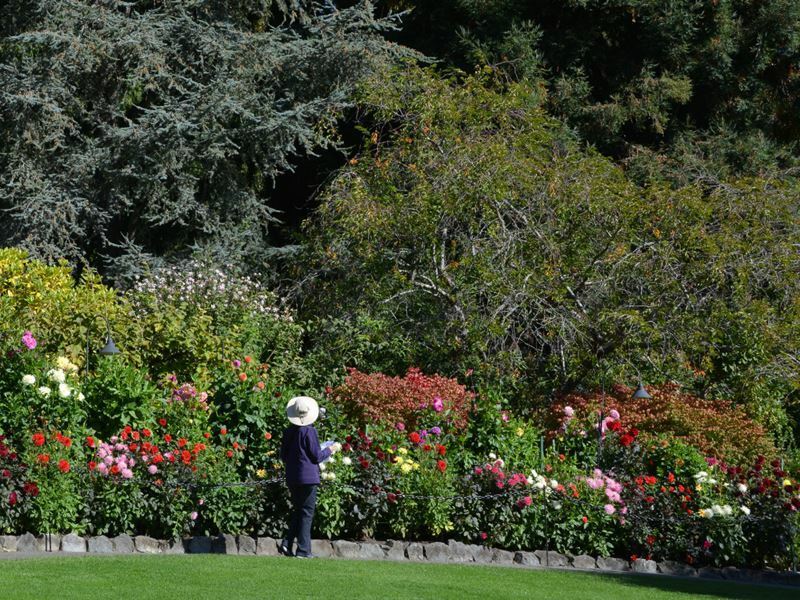 What: Butchart is the reason Victoria is often referred to as the “City of Gardens.” Considered one of the world’s top display gardens, it was started by Jenny Butchart who wanted to beautify the barren pits her husband’s limestone mining company had left on their property. Owned by the same family today, the majority of its 55 acres are open to the public. All total, there are 700 varieties of plants that are in bloom between March and October. Highlights: The garden features a Japanese Garden, an Italian Garden and an especially breathtaking rose garden that contains some 300 different species. The Rose Garden is at its peak from late June through September, and if you arrive earlier in the summer you’ll see the extraordinary delphiniums that provide a dramatic backdrop to the blooming roses where flitter about in between. Come on a Saturday evening during summertime, and you’ll not only get to view the colourful array of flowers, but a fabulous fireworks display. 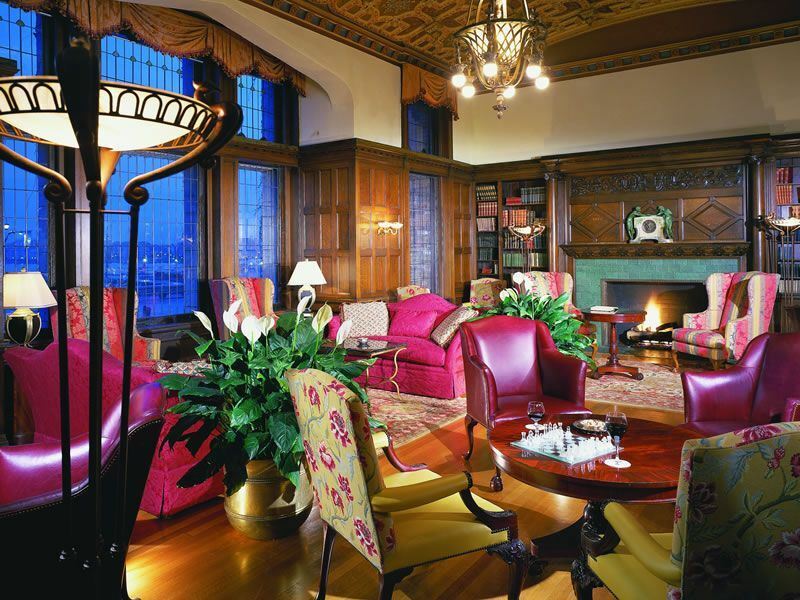 What: The Fairmont Empress Hotel is popular for both its romantic, colonial setting on the banks of the Inner Harbour, boasting spectacular bay views as well as its interesting history. 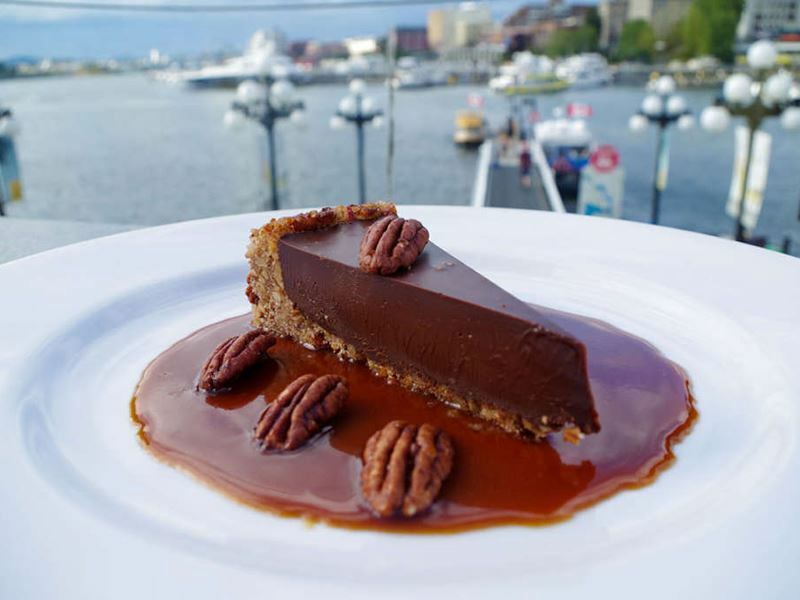 Numerous big name celebrities and members of royalty have stayed at The Fairmont Empress over the years, enjoying modern amenities like an indulgent spa and Q at the Empress & Q Bar, considered a culinary experience, as well as its historical charms. Highlights: Experiencing the hotel’s historical grandeur will provide you with an excellent taste of what the city was like when the hotel opened back in 1908. It was designed by Francis Rattenbury for Canadian Pacific Hotels as a terminus hotel for the Canadian Pacific Railway and boasts lavish guest rooms that perfectly blend the hotel’s history and the natural beauty of the west coast for the epitome of modern luxury. During the summer months, be sure to take advantage of Afternoon Tea, visitors arrive from far and wide to enjoy this tradition that began when the hotel opened, well over a century ago. What: Victoria offers an excellent shopping scene and one of the best spots for window shopping is on historic Government Street between Johnson and Humboldt streets. Browse souvenirs, peruse high quality retail shops and see the remnants of the city’s early days as Fort Victoria. Highlights: The setting alone makes taking a stroll along Government Street an unforgettable experience – you’ll see the city’s British heritage in the many shops that feature items like Irish lace, Scottish tartans, English wool and bone china, and, whenever you’re in need of a break, a cup of tea is only steps away. There are also stores specialising in First Nations art, fashion, jewellery, Canadian goods and more. What: Victoria is well-known for its exciting craft cocktail and food scene, as well as its microbrew pubs and an excellent assortment of nightclubs and bars. Whether you want to relax or dance the night away, much of it can be enjoyed at the Inner Harbour. Highlights: The Steamship Grill, located in the historic Steamship Terminal Building. features an outdoor patio where you can enjoy a pleasant summer evening and to-die-for seafood, including freshly shucked oysters, Wild Fraser River Sockeye Salmon and halibut. Afterward, hit the stylish Clive’s Classic Lounge for eclectic cocktails, or enjoy some fun and cultural appeal by heading to Upstairs Cabaret in Bastion Square which looks out on the harbour. This is the hip spot for drinking and dancing to the latest Top 40 hits, electro-house and hip-hop every Friday and Saturday night. If beer is more your thing, Bartholomew’s Pub serves up draft beers and also has a patio that hosts live music regularly. What: There are numerous boat excursions that can be taken from Victoria, and getting out on the water is really a must while you’re here. In fact, it may be the highlight of your entire holiday. If you’re looking for something short but sweet, take the 45-minute Butchart Gardens Boat Tour which will take you to explore the wildlife and history of Tod Inlet as well as Brentwood Bay. Along the way, keep an eye out for bald eagles, herons, otters and seals, and find out more about the famous gardens as well. Three Hour Sail offers a three-hour sailing adventure on a tall ship that leaves from the Inner Harbour. The beautiful ship is a replica of the first vessel that was solo circumnavigated around the world. Highlights: Eagle Wing Tours is one of the best if you hope to see the area’s whales and other wildlife. It offers a number of exciting options that include the chance to view majestic orcas in the wild and possibly migrating humpback whales too. From March to October every year, thousands of whales migrate through the waters that surround Vancouver Island, making it one of the best locations on Earth for whale watching. During the peak of the season, from mid-May through the end of October, sightings are guaranteed, which means if you don’t see whales you’ll be invited back free for another try – this rarely happens, but that means you may want to book your excursion earlier during your holiday, just in case.